Thai inspired costumes are simply exotic. Take this one for example. 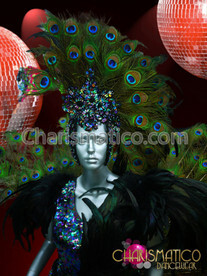 It is a full phoenix costume set in shades of green with gold trim. Lush like the jungle and delightfully Asian in flavor, you simply cannot go wrong.